Before I get into how to start your food storage, I want to discuss a little bit about my food storage theory. So you can get an idea of how I do things. First of all, I do not prepare just for emergencies. It has developed into a love of becoming self reliant. So I believe very much in eating my food storage and rotating it all the time. Did you know that if you are not eating your food storage and one day need to, and your body is not accustomed to the food you can get sick? VERY SICK! So I rotate and eat my food storage all the time. Next, I also don’t believe in going into debt and/or purchasing very expensive equipment for emergencies. The reason behind this is very simple. I don’t want to become dependent upon a product, but rather be self reliant. I look back in the 1800’s when people didn’t have electricity and many of the modern day conveniences. How did they do it? What skills did they have? They lived as many have always lived before this time of technological advances. I am pretty sure they managed just fine without a solar oven and an expensive freeze dryer machine! If you have some of these things great, just don’t depend on them. Make sure the skills needed to preform tasks are learned because you will need them. And guess what learning skills is for the most part FREE. Then, I believe in preparing a complete year of supplies, water, and food. But even further, I also believe in preparing/storing as much as I am able. I feel like I have been blessed with very much and that because I have been blessed, much will be required of me. I want to help those around me. This actually has been a great lesson to me which I will update on my blog at a later day about the idea of “sharing.” Some feel as though I am silly because of what I store, but in truth I don’t think people realize how much food they really go through in a year. Because I have food stored, I am able to bless the lives of others easier. It is not a hassle for me to take in food to the neighbor who is sick or just had a baby. I always joke that they are helping me rotate my food storage and all those brownie boxes. And to be completely honest, when you are efficiently rotating and organizing your food, it does not go to waste. If it is about to expire you can donate it to shelters. So either way if I eat the food or someone else, I have seen blessings. So……. How do I begin my food storage? This is a question I am asked a lot. The first step is planning and today we will look at our food storage space. 1. What space do I have for my food storage? A cool, dry place is best for a food storage. Those with basements normally, at least where I live, have a cement room of some kind under their porch. This is a great place. Another idea for those with smaller spaces, is under beds. This is something of course that would take some personal evaluation. I happen to have a storage room under my porch. I call it my “grocery store.” The reason why is because how I organize it, which lead me to the next question. 2. How do I organize my food storage room? Some really enjoy the rotating shelves (like this one on amazon https://www.amazon.com/FIFO-Can-Rack-200-organizer/dp/B01B52L0FA/ref=sr_1_fkmr0_1?ie=UTF8&qid=1476076359&sr=8-1-fkmr0&keywords=shelf+reliance+harvest). I have had those and they are great; however, I feel I can make better use of my storage with traditional shelving. My shelves don’t just run along a wall like most people think when they run shelves, but they run like a grocery store so that I can access both sides. So I put my food in on the left and take out on the right. This theory is also good for the under the bed theory. You put it under on the left and take it out on the right. The reason I can store more than a rotating shelf is because I am occupying every inch of space. My darling husband has made my shelves custom to fit what I am storing on that particular shelf. But before you can design your shelf’s you need to plan your actual storage items which will be discussed next week. Water is one of the most important things in a food storage and in most cases the most overlooked thing. A general guideline is to store 1 gallon/person/day. So that becomes quite a bit of water, so where do you store it? The first thing I do is I save all my juice and soda pop bottles. These can be recycled and used to store water again. However, milk jugs can not be used. Throwing water under beds is one of my favorite things, and because I have a Berkey water purifier I am not very concerned about rotating it. 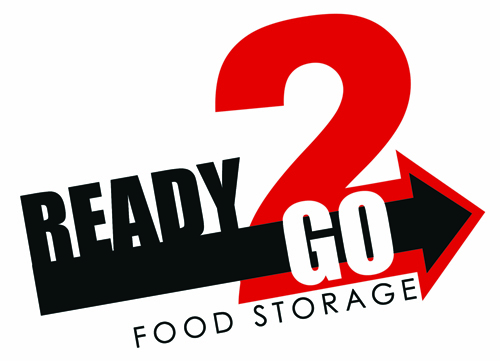 But for my larger storage I have found these tanks that we offer at our Ready2Go store (HERE). I like these tanks because I am able to store larger amounts of water. I love that it has a hose spigot on the bottom so I can easily rotate the water. Mine sits in my garage. I have family that has their’s outside. To rotate, every six months, so in the spring and fall, I hook up the hose and flood irrigate my grass. Then there is a place at the top I fill it up again. This is easy to rotate giving me a lot of water that is not needing treatment to be purified. So I hope this helps you with some questions to ask yourself about where to store your food storage. Now that we understand our food storage space, I will be going into more depth next week about how I decide what to store. See you then! Do you sell in smaller amounts like the 6 serving I saw on your website? Or do you just sell in large amounts ex. 100 servings? Mostly just larger amount but if you need a sample or two let me know.